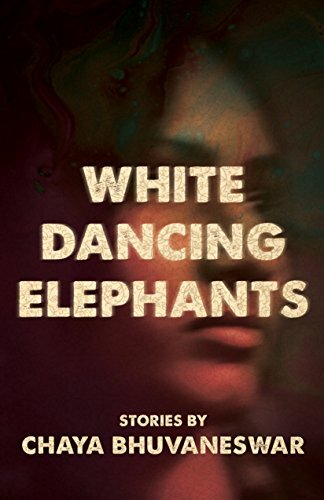 “Adristakama,” or love for the unseen, is the title of the final story in Chaya Bhuvaneswar’s debut, White Dancing Elephants, and a concept that threads through these 17 stories. In this collection, winner of the Dzanc Books Short Story Collection Prize, characters struggle to love. They suffer when trying to see themselves and each other in the complex relations lurking below what they allow to be visible to the world. Gopi’s son is sent to school in India under the care of relatives because his wife believes that her preoccupation with her daughter’s care “would prevent her son from getting all the attention he deserved . . . [s]he didn’t want him to feel the day-to-day cares of worrying.” On an important day for his young son, when an uncle halfway around the world assumes the title of “father” for the ceremony, Gopi blames his daughter for all his losses—his home in India, his comfortable employment there, his wife’s attention, and now even his claim to his own son. His simmering resentment reaches full boil. The collection is bursting with stories like these, in which characters’ complicated, multilayered emotions are laid uncomfortably bare. Throughout White Dancing Elephants characters learn the depth and texture of emotions they’ve never fully experienced before. In “Adristakama” a young Indian woman forgoes her female American lover for an arranged marriage then two years later, her marriage over, returns to work at a domestic violence services agency where her former lover, also an employee, avoids her. Good short fiction pulls the reader deep into the hearts and minds of characters exploring complex emotions knotted into their particular situations while suggesting no one is immune from similar experiences. Sometimes funny, always smart and honest, Chaya Bhuvaneswar’s stories hold the reader, even as the painful truths of human lives break through. Chauna Craig's debut short story collection, The Widow's Guide to Edible Mushrooms, is a 2017 Foreword Indie Book Award Finalist for Short Stories. Her short fiction and creative nonfiction has appeared in such venues as Seattle Review, Marathon Literary Review, Ploughshares, Connecticut Review, and others. She is a professor in the English Department at Indiana University of Pennsylvania.